I've been enjoying (term used loosely) a month of 'firsts' this June. The first time I've broken my left arm and, thus, the first time I've been in a cast for 6 weeks. The first time I've lived alone (peaceful but boring). The first time I've lived in West London. And I think (somehow!? ), the first time I've ever used cherries in a recipe on here. It's all been wild, but it got even better with the impulsive bake that I got on last weekend. The results of which are detailed below. It's hard for me to write this recipe. 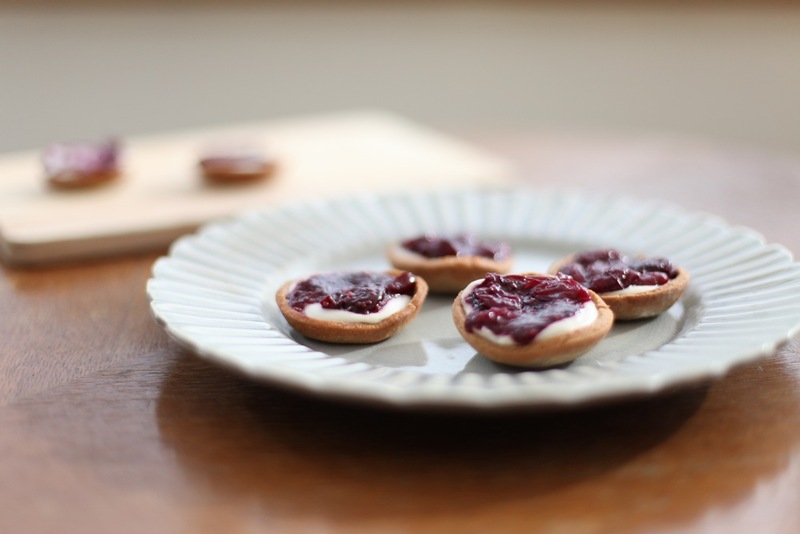 I feel I am selling it short, and that just one filling recipe for these DELICIOUS GLUTEN FREE TARTLETS isn't enough and just do them justice. Instead, I'll call it a suggestion. The rest is up to you. As you think about all the ways in which you can fill your tartlets (of which there are many), you may also be interested in all the good that they're about to do you. Without any white flour, gluten, wheat, dairy or refined sugar, they are total do-gooders in the world of food/health/wellbeing/loving your bod, but also - above all else and the reason you're really here - flavour. They also embrace the seasonal showstoppers that are cherries. High in antioxidants, juicy but not-too-sweet sources of fibre, vitamins and minerals - it's obvious as to why the expression is 'cherry on top' and as opposed to any other fruit. My filling choice was dictated by two things. Seasonal produce, and all I accumulated in a minesweep of my parents kitchen (since waiting over a month to move in to our new apartment which is totally worth the wait, I am now completely the last leg of this couch surfing summer back home in Bath). The pastry was easy and honestly, if you only make part of this recipe, make sure it's the base. You can make it into biscuits for a quick snack, or into empty tartlet cases to enjoy with something as quick and simple as fresh berries. The cashew custard layer is even easier and contains just two simple steps - filling the blender, and operating the blender. And the cherry jam/coulis can be done simultaneously, whilst you work on the other parts of the recipe.
. OTHER FILLING SUGGESTIONS . Preheat oven to 160c and lightly grease a muffin tray. Start by whisking the dry ingredients (flour, ground almonds, coconut palm sugar, arrowroot and salt) together in a medium mixing bowl. Next add the melted coconut oil, stirring in with a wooden spoon. Once combined, gradually add the water. Roll the dough out onto a floured surface or some baking paper, at about 2cm thick. Place in the fridge for 30 minutes to an hour. When you remove it from the fridge, roll it out onto a freshly floured surface, to become no thicker than 3mm. Cut, using a knife or your own cutters (i used basic round cutters). Place each circle into each hole of your muffin tin. Bake for 15-18 more minutes, checking halfway through. If one side is browning quicker, turn the tray around. Leave to cool before filling. Simply add all of the ingredients to your blender and blend on a high speed for 2-3 minutes. Add a little more water if it is having difficulty blending, depending on the strength of your blender. Make sure it is as smooth as possible before filling your tartlet bases. De-seed the cherries and chop or tear with your hands. Place in a saucepan with the lemon juice and water. Bring to the boil and then simmer over a medium heat. As they begin to soften, add the chia seeds and stir to combine. If the chia seeds absorb the water too quickly, add a few extra tablespoons of water. Simmer until entirely soft. Take your cooked tartlet bases and fill them with the cashew cream. It doesn't matter which order you fill them in, you can start with the jam if you prefer. Repeat for each tartlet. Place in the fridge to keep cool (this will also make the custard thicken and set a little - making it richer), or serve immediately.